Intertac’s CP VARITHERM DPA Electric heater can be used for Heating of instrument enclosures in hazardous areas. 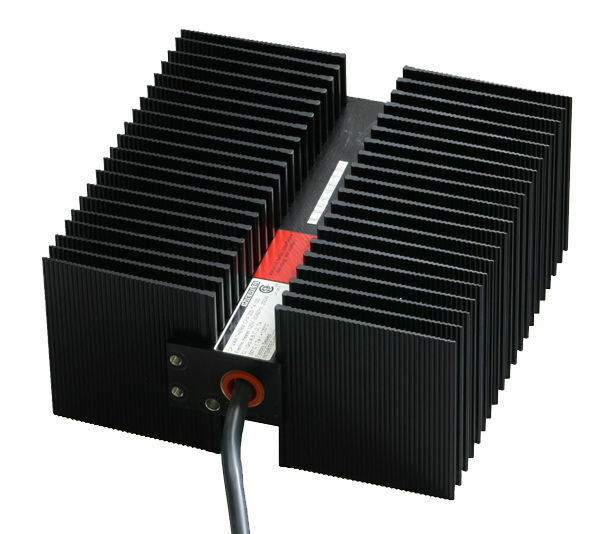 They are black anodized aluminium finned heaters, heating the air in the enclosure by convection. It is designed for freeze protection, condensation protection and temperature maintenance. It has a horizontal design which allows optimum installation of the heater. Its vertical installation is also possible. Freeze-protection thermostat (TS) integrated in the connection cable as standard or, optionally, with protective thermostat (TS40) maintains temperature. Heater fins can be removed and modified by INTERTEC, if necessary for installation purposes. It has a length and a width of 8.7”/ 220 mm and 8.4”/ 213 mm respectively. It has a connecting cable of 39”/ 1 m.